Three people have been charged with trafficking in heroin and a fourth person arrested on a warrant, after police reportedly found thousands of dollars worth of the drug during a raid Tuesday of a Hill Street apartment in Farmingdale. FARMINGDALE — Three people have been charged with drug trafficking in connection with one of the largest central Maine heroin busts in recent memory. The arrests followed a search Tuesday of a Hill Street apartment that uncovered 116 grams of uncut heroin. The seized heroin — the equivalent of nearly 4,000 doses — has a street value of more than $50,000, said Kennebec County Sheriff Randall Liberty. 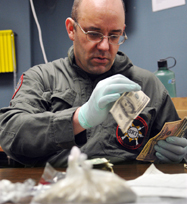 Any amount of heroin over 6 grams is considered aggravated trafficking under state law. Police also seized 57 oxycodone pills worth $2,000, along with packaging material, scales, ledgers and assorted paraphernalia, Liberty said. Christina L. Sanborn, 42, and 31-year-old Nicholas Presby, who share the apartment at 62 Hill St., and Randy Figueroa, 37, of New York City, were each charged with two counts of aggravated trafficking in scheduled drugs. Figueroa also was charged with failure to submit to arrest and illegal importation of scheduled drugs, according to Liberty. 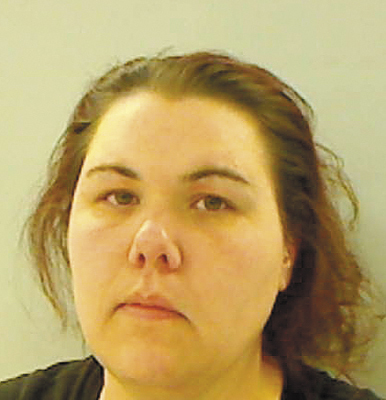 All three people remained at the Kennebec County jail Wednesday afternoon. Sanborn and Presby were being held in lieu of $25,000 cash bail, though Sanborn could be released on $1,000 cash with supervised release. Figueroa was being held on $50,000 cash bail. 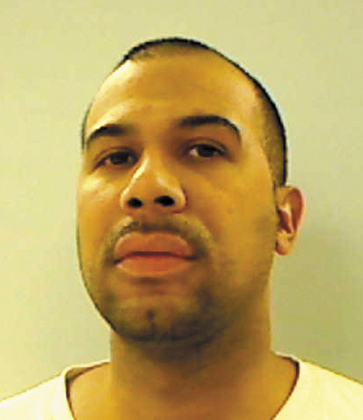 While Sanborn has no known criminal history, Liberty said Presby, formerly of Whitefield, and Figueroa have drug and theft convictions dating back to 2003 in Maine and Pennsylvania. Liberty said the investigation is ongoing and additional arrests are expected. 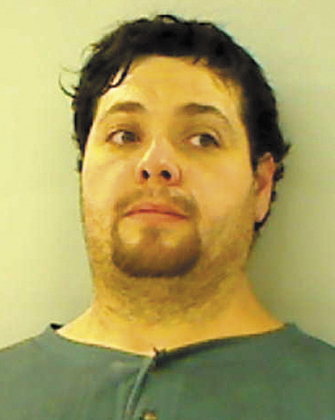 An affidavit filed in Kennebec County Superior Court by sheriff’s Deputy Joshua Hardy states that authorities searched the apartment around 4:30 p.m. Tuesday after investigating suspected drug activity at the home for the past few weeks. The raid involved Kennebec County sheriff’s deputies, and federal and state drug enforcement agents. Hardy found in Figueroa’s pockets a large amount of cash and a plastic bag containing smaller plastic bags that contained heroin, Hardy wrote. Figueroa reportedly has been staying with Sanborn’s friend in a nearby apartment. Police found a black bag in her apartment that reportedly belonged to Figueroa. The black bag contained “another very large bag of heroin and other smaller packets of heroin,” Hardy wrote. Hardy wrote that police seized a total of 114 grams of heroin from Figueroa and another 2 grams were seized from Sanborn’s bedroom. Sanborn and Presby each claimed the heroin belonged to the other, Hardy wrote. “Sanborn stated that both Presby and herself had previously sold illegal drugs for Figueroa,” Hardy wrote. Liberty said there were 55 robberies in 2012 that were driven by drug use, and heroin use, in particular, has seen a significant spike in central Maine in recent years.